A few weeks ago, I attended a BANG mixed fitness certification. 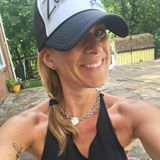 I have been in the group exercise industry for over 25 years and I’ve attended many, many trainings. I was looking for something to add to my current schedule, but I wasn’t quite sure what. Then I found BANG! The more I researched, the more curious I was….hip hop, boxing (I LOVE BOXING), cardio……I was intrigued. I checked it out online and contacted a friend who teaches it. I thought I’d take a chance and sign up for the training. It was one of the best decisions I’ve made. Here’s a breakdown of the certification process and my weekend. Once signed up, I received an email with my music, videos and my track assignment (you present this track throughout the weekend) about 2 weeks prior to training. I downloaded it and started to learn! I teach Les Mills classes, so I’m used to the pre-choreographed formats and have a system of how to learn new releases. I was excited – and a little anxious. I didn’t know what to expect, as I hadn’t ever taken a whole class! We started at 10:00 with a master class from the trainer. It was awesome! The music, the energy – the BOXING!!! After the master class, we had a few minutes before we got down to business. After a busy day of going through the technique, breaking down each track (song) and presenting, we finished at about 5:00! We had a 30 minute lunch break, but that was really about it….it was physically and mentally demanding. instructors. We presented two more times. After another 7 hour day, we were done! Two days later, I received an email saying I passed the weekend training. Now, to video tape a live class. You have to video tape a live class and submit within 90 days of the training to be fully certified. Full disclosure, I taped once already – but was not happy with it, so I’ll be doing another taping this weekend!! 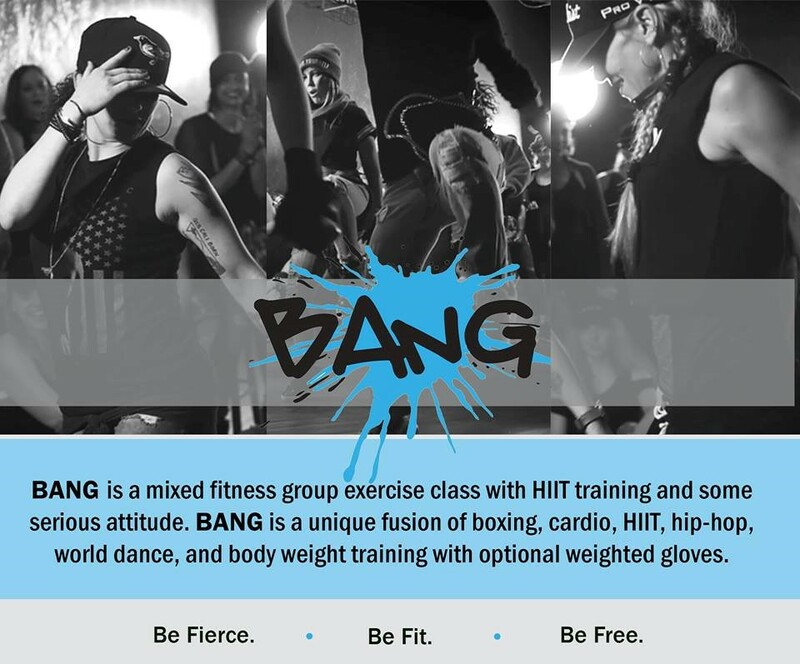 As mentioned earlier, BANG is a mixed fitness class that incorporates hip-hop, boxing, cardio, and body weight training. There are 3 levels – participants can 1) follow and stay with low impact moves, 2) do everything instructor is doing, or 3) do everything instructor is doing while wearing weighted gloves (1/2 lb each). Moves can be “undanced” for those who feel they aren’t coordinated enough (but we all know everyone can dance!) I love that I can be a diva getting my groove on during one song, and then switch into a fierce boxer in another, and then hit a high intensity cardio track that gets my heart racing (think 80’s aerobics throwback)! 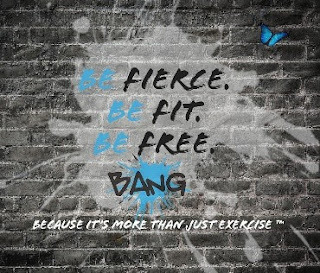 It’s great for every fitness level and I look forward to adding this class to my schedule! !